Use on finished floor surfaces, stairs, ceramic tile and concrete. This kit includes everything to install a 3 1/2" Newel Post. The 4Js Post Mounting System has been sold Nationally for the past 18 years through wholesale lumber yards, stair parts suppliers, and Home Centers. In this time, the product has been field proven by professionals and amateurs alike. Both have commented on the ease-of-use and strength. Recently the 4Js System was re-engineered to provide an even stronger installation. Although there are other post hardware kits on the market (several of which try to imitate our product), none has been as widely accepted as the 4Js System. This is a higher quality, far better engineered product than other in this market. From the zinc-coated hardware to the premium grade wood used in the moldings (accurate to within .01"), it's a complete system. 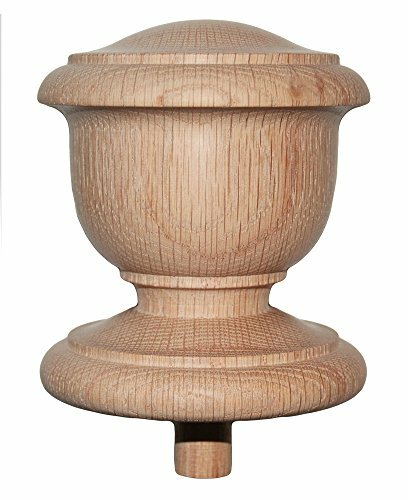 USA Manufactured and available in over 10 wood types, 2 molding styles and sizes to fit every newel post currently made. Designed to cause downward pressure to post. Year after Year delivers a stored energy to prevent a post from loosening. Built-In cleats along the bottom edge prevent post shifting. Brand: 4Js | Manufacturer: Conifer Products, Inc. This kit includes everything to install a 3 1/4" Newel Post. The 4Js Post Mounting System has been sold Nationally for the past 18 years through wholesale lumber yards, stair parts suppliers, and Home Centers. In this time, the product has been field proven by professionals and amateurs alike. Both have commented on the ease-of-use and strength. Recently the 4Js System was re-engineered to provide an even stronger installation. Although there are other post hardware kits on the market (several of which try to imitate our product), none has been as widely accepted as the 4Js System. This is a higher quality, far better engineered product than other in this market. From the zinc-coated hardware to the premium grade wood used in the moldings (accurate to within .01"), it's a complete system. 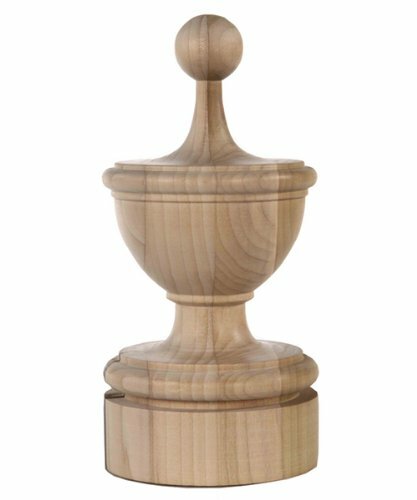 USA Manufactured and available in over 10 wood types, 2 molding styles and sizes to fit every newel post currently made. The Zipbolt UT Angled Railbolt 11.560 was designed for the stair industry to solve the problem of secretly attaching the hand rail at an angle to a newel post. The connector uses the UT drive technology, which enables easy tightening at a right angle and deep with in the hand rail just using a hex bit or simple Allen key. 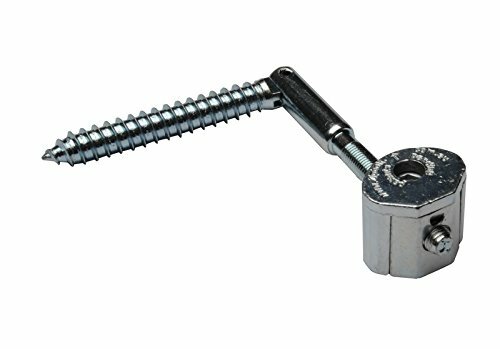 The pivoting 8mm shaft has a coach bolt thread (wood thread) which can be simply hand wound into the post and once the hand rail has been bored and the angle cut (last) it is easily attached. 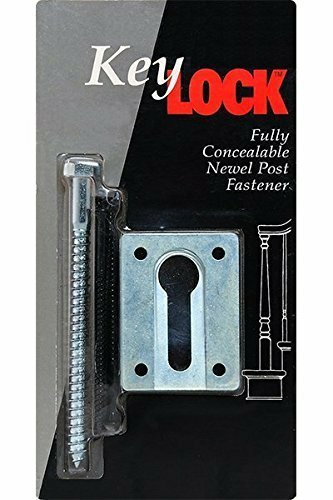 The pivoting action caters to any necessary angle open or closed; it produces a strong joint without the unsightly long screw going through the visible face of the newel post or ugly filled nail holes. 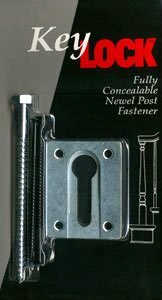 This kit is designed for installing a 3" Newel Post. The 4Js Post Mounting System has been sold Nationally for the past 18 years through wholesale lumber yards, stair parts suppliers, and Home Centers. In this time, the product has been field proven by professionals and amateurs alike. Both have commented on the ease-of-use and strength. Recently the 4Js System was re-engineered to provide an even stronger installation. Although there are other post hardware kits on the market (several of which try to imitate our product), none has been as widely accepted as the 4Js System. This is a higher quality, far better engineered product than other in this market. 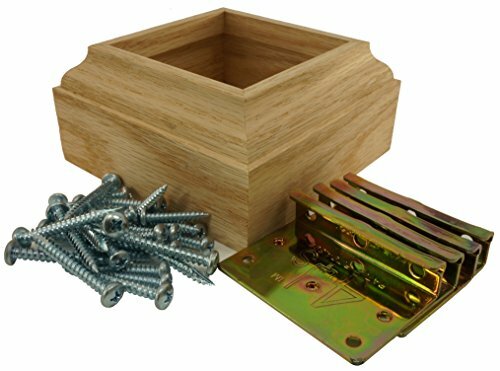 From the zinc-coated hardware to the premium grade wood used in the moldings (accurate to within .01"), it's a complete system. 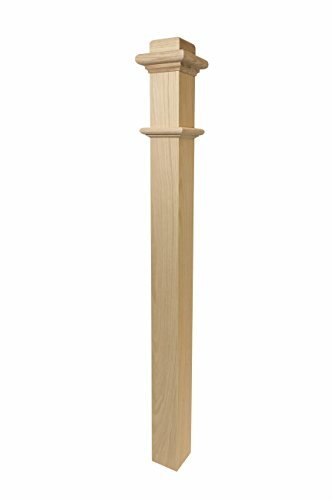 USA Manufactured and available in over 10 wood types, 2 molding styles and sizes to fit every newel post currently made. 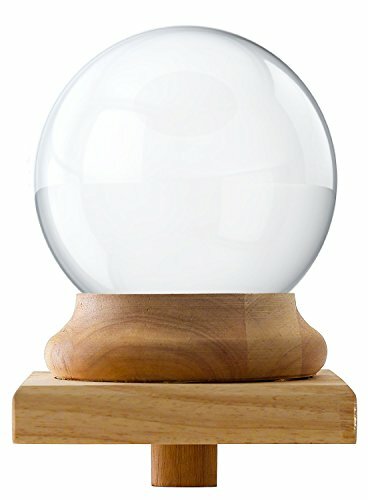 Patented and Designed Set of Crystal Ball and Base. Easy to Install and Painting. The Zipbolt UT Angled Railbolt was designed for the stair industry to solve the problem of secretly attaching a handrail at an angle to a newel post. The connector uses the UT drive technology, which enables easy tightening at a right angle and deep within the handrail just using a hex bit or simple Allen key. The pivoting 8mm shaft has a coach bolt thread (wood thread) which can be simply hand wound into the post. Once the hand rail has been bored and the angle cut (last), it is easily attached. 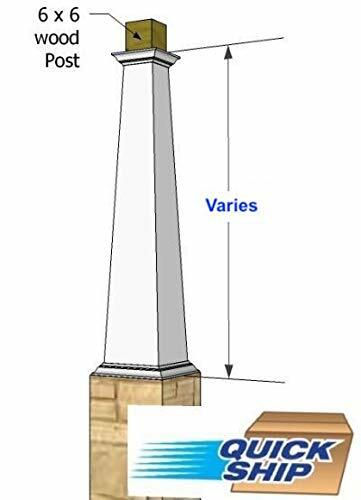 The pivoting action caters to any necessary angle open or closed; it produces a strong joint without the unsightly long screw going through the visible face of the newel post or ugly filled nail holes. 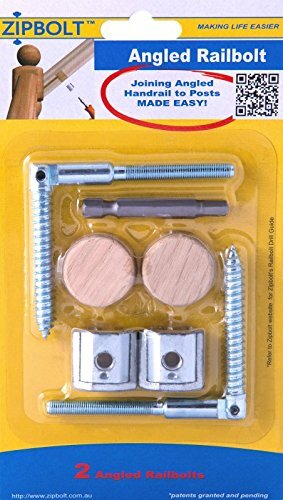 This multipack includes a 5mm hex bit with quick release shank. 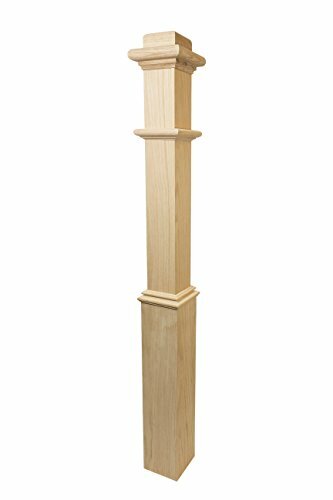 Oak Box Newel 5 X 56"
Contemporary Box Newel Post 5" by 56". We offer other starting post styles as well! Check out our storefront for that and other stair parts! 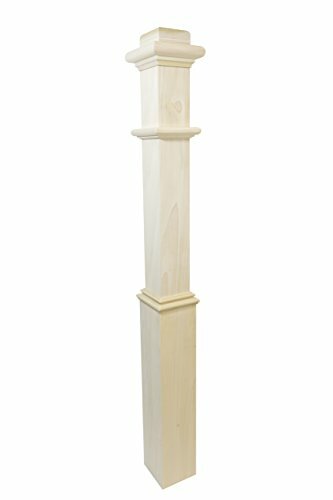 Add beauty and strength to your staircase with this gorgeous, quality box newel. Please note that due to the nature of wood, each newel has its own unique design features. The wood grain patterns will vary, and the color may vary slightly. Finials are one of the earliest forms of architectural ornamentation. This finial can add both style and value to your posts. Designed and manufactured exclusively by JMP Wood Turning in our wood shop in Brooklyn, New York. Our professional staff and artisans exclusively design each piece. Attention to detail and precision is the keystone to our business. This finial can add both style and value to your posts. Designed and manufactured exclusively by JMP Wood Turning in our wood shop in Brooklyn, New York. Our professional staff and artisans exclusively design each piece. Attention to detail and precision is the keystone to our business. 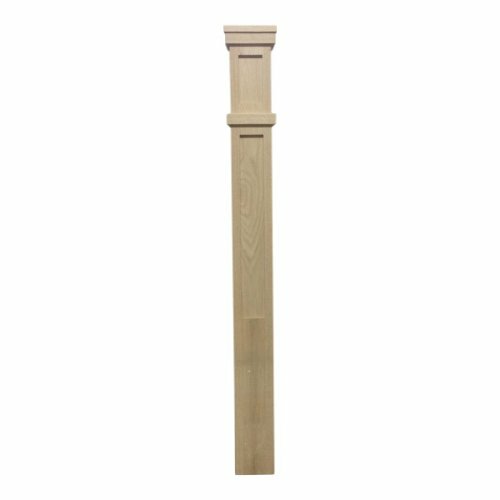 Add beauty and strength to your staircase with this gorgeous, quality box newel. The pedestal/sleeve base adds an air of elegance that is very pleasing to the eye. 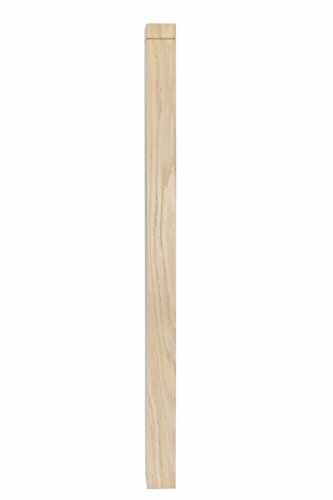 This paint-grade, poplar wood is perfect for painting as needed. Please note that due to the nature of wood, each newel has its own unique design features. The wood grain patterns will vary, and the color may vary slightly. 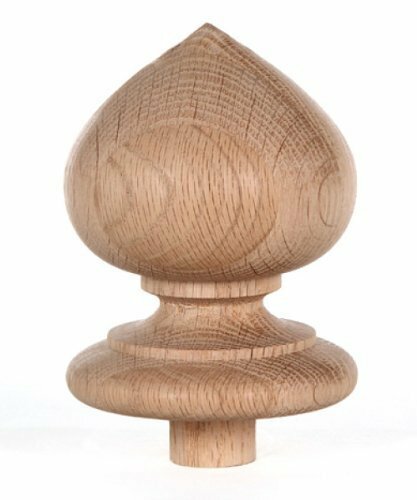 Add beauty and strength to your staircase with this gorgeous, quality box newel. This paint-grade, poplar wood is perfect for painting as needed. 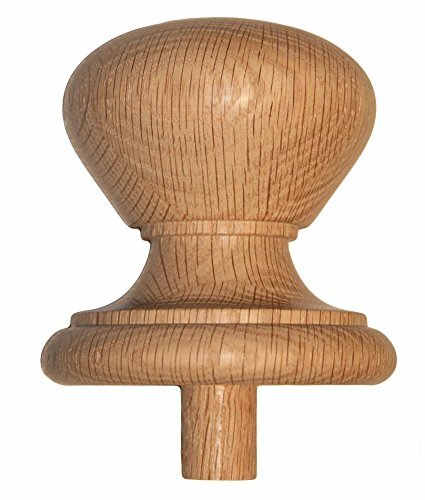 Please note that due to the nature of wood, each newel has its own unique design features. The wood grain patterns will vary, and the color may vary slightly. This finial can add both style and value to your posts. Designed and manufactured exclusively by JMP Wood in Brooklyn, New York. Our professional staff and artisans exclusively design each piece. Attention to detail and precision is the keystone to our business. 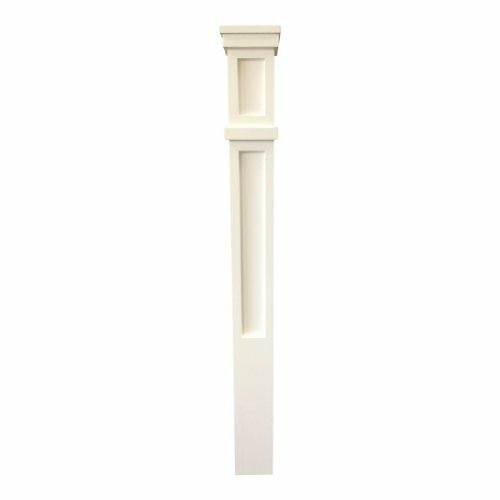 Prime Box Newel 5" x 56"
Contemporary Box Newel Post Primed 5" x 56". We offer other starting post styles as well! Check out our storefront for that and other stair parts! Routed and Notched 3 1/2" x 48" Newel Post in Paint Grade Poplar. Routed and Notched 3 1/2" x 48" Newel Post in Red Oak. 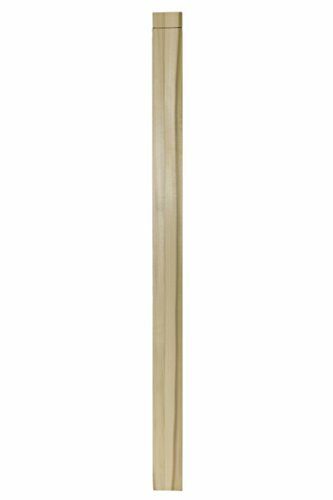 Elite Trimworks Corp Tapered PVC Post Wrap 56"
Narrow, Tapered PVC Column Wrap either 56", 68" or 72" high, made to cover up to a 6 x 6 (actual size about 5 1/2 square) wooden support post. The Shaft is made from 1/2" thick PVC and is 9 7/8" at the bottom and 6 3/4" at the top, (only the height will vary) with the minimum opening being 5 3/4" square. The kit is shipped flat and packed with 2.5 oz. of PVC adhesive, tape, hardware, installation instructions and mounting cleats. The wrap comes with a Georgian Capital and Base (shown) which add approximately 3 1/2" to both the top and bottom footprint of the shaft. The optional Box (Shaker) Cap and Bas set adds only 1 1/4" to the shaft thickness. We recommend either the Box Base or Box Capital for applications that have limited space. Narrow, Tapered PVC Column Wrap either 56", 68" or 72" high, made to cover up to a 6 x 6 (actual size about 5 1/2 square) wooden support post. The Shaft is made from 1/2" thick PVC and is 9 7/8" at the bottom and 6 3/4" at the top, (only the height will vary) with the minimum opening being 5 3/4" square. The kit is shipped flat and packed with 2.5 oz. of PVC adhesive, tape, hardware, installation instructions and mounting cleats. The wrap comes with a Georgian Capital and Base (shown) which add approximately 3 1/2 to both the top and bottom footprint of the shaft. The optional Box (Shaker) Cap and Bas set adds only 1 1/4 to the shaft thickness. 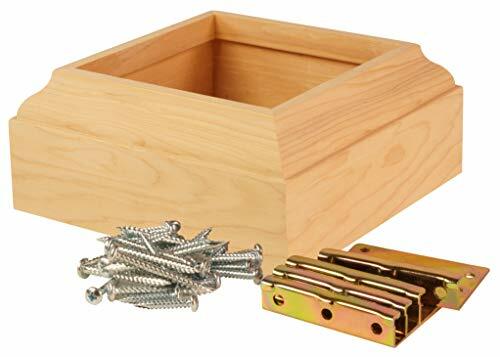 We recommend either the Box Base or Box Capital for applications that have limited space. Tapered columns can easily be cut lower to suit on site. Remember, when cutting tapered columns, always cut from the bottom. The base will have to be cut to suit as well. This is the same sized tapered column as used on our craftsman column wrap. Elite Trimworks Corp Tapered PVC Post Wrap 68"